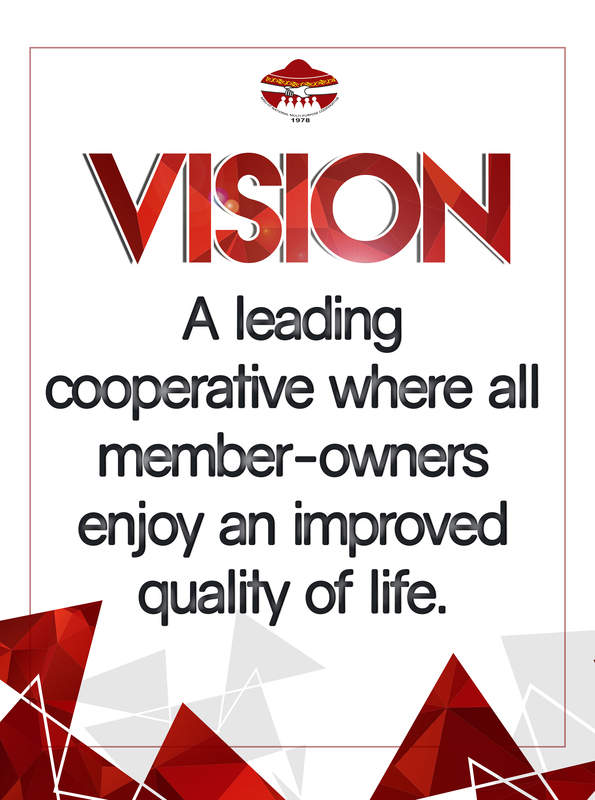 Finance: To ensure the financial viability of the cooperative. Market: To establish a strong market presence in strategic areas in the Philippines. Products: To continuously develop and innovate products and services satisfying the changing needs of the members. Workforce: To maintain a highly motivated and competent workforce. Governance: To practice high ethical standards, operational efficiency and effectiveness in governance the cooperative. Community: To develop sustainable outreach programs and linkages with other institutions. Ranging from small-scale to multi-million dollar businesses across the globe, co-operatives employ more than 100 million women and men (20% more than multinational enterprises combined), and have more than 800 million individual members. Cooperatives were officially born in 1844 when theRochdale Society of Equitable Pioneers established the Rochdale Principles on which they ran their cooperative, when the basis for development and growth of the modern cooperative movement was established. The co-operative model of enterprise can be applied to any business activity. They exist in traditional economic sectors such as agriculture, fisheries, consumer and financial services, housing, and production (workers' co-operatives). However, co-operative activity spans to large number of sectors and activities including car-sharing child-care, health and social care, funeral, orchestras and philharmonics, schools, sports, tourism, utilities (electricity, water, gas, etc. ), and transport (taxis, buses, etc). This value has a dual reference. On one hand, it refers to the individual person and on the other, it refers to the such as a cooperative. Self-Help as a value obligates/ encourages the individual person to satisfy his/her own needs and obligations through personal effort to the extent reasonably possible under the circumstances. An important need obligation is the contribution to the realization of a healthy sustainable community. This is very important element in achieving human fulfilment. As a corollary, the same reasoning and logic applies to the collective self such as, cooperative. This value obligates/encourages the collective self to satisfy their collective needs and obligation through their own efforts to the extent reasonably possible under the circumstances. It is form this value that the idea flows and each individual member owner of the collective, i.e. cooperative, share the responsibility for the success of the cooperative. This value, similar to the previous one, has a dual reference. The individual person is obligated and encouraged by the value to be responsible for his/ her own well-being and to take responsibility for any consequences that flow from whatever he/she does in pursuit of personal need satisfaction. The corollary to this is that the collective self is responsible for its own being and for the consequences that flow from that pursuit. Democracy is a philosophy or practice of governance in which the people are collectively the repository of authority. The exercise of that authority is democratically legitimate only if the people who will be affected by that exercise are consulted openly and freely. Popular elections in and of themselves do not a democracy make. Free and open discussion, deliberation and consultation are essential preconditions to elections as democratic elements. Of course, that means that the people or members have reasonable access to all information relevant to the decisions respecting the exercise of the authority of which they are the repository. Equality as a value flows from the traditional wisdom that each person, irrespective of talent, skill or appearance possesses an intrinsic value and thus as a human being is of no greater or lesser value than anyone else. Each person is intrinsically valuable, without the attachment of inferiority or superiority. While certain skills and talents may be of greater importance to the well being of a collective, be it a society, community or cooperative each and every person as human being within that collective is of equal value. This value is particularly pertinent to decision- making and governance of the collective requiring that each person in that collective has a reasonable opportunity to participate in that decision-making and governance. This value is particularly and peculiarly relevant to democracy and democratic governance. This value has two distinct but related meanings. One meaning of this value is an end. The other meaning is that of a means to that end Equity as an end refers to fairness in the relationship between and among individuals and the manner with which authority is exercised over persons. Equity as a means refers to the ownership of property/ assets which persons can protect themselves against exploitation by others, mainly corporate interests. This value has two distinct but related meanings. One meaning of this value is an end. The other meaning is that of a means to that endEquity as an end refers to fairness in the relationship between and among individuals and the manner with which authority is exercised over persons. Equity as a means refers to the ownership of property/ assets which persons can protect themselves against exploitation by others, mainly corporate interests. In the cooperative that ownership gives the owner/ member the right to participate in the decision of the cooperative which along with the participation of all the other members/owners of the cooperative, assure each and all of them fairness in their relations with each other an the collective, i.e., the cooperative. It is the equity which provides the owners with the right and opportunity to structure the decision-making and governance process that will assure that fairness is an essential characteristic of the cooperative. Solidarity as a value refers to the respect and dignity with which the individual persons of a community relate to one another. It is a relationship that grows out of each person seeing the other as valuable as the self. Solidarity also encompasses the concept of interdependency which is so critical to the health and vitality of the cooperative. Community is an important product of solidarity, or as a corollary, solidarity is an essential characteristic of the successful cooperative. This value has the quality of both and means. Honesty is good in itself and is a means to other good. Honesty is an important prerequisite to continuing good relations among persons and within collectives such as cooperative. Honesty is both quality of, and a means to, human fulfilment. Truth is a critically important component of rewarding community an collective life. Honesty is the sine qua non for the individual and the collective of individuals experiencing and benefiting from the truth. This value refers to the structure and reasonable availability to the membership of information and knowledge relevant to the successful life of the organization or cooperative. This value presupposes that the governance of the organization is a democracy, hence the membership collective is the repository of the authority ex non for the individual and the collective of individuals experiencing and benefiting from the truth. This value is most relevant to the public image which the cooperative enjoys or suffers in the community to which it serves and beyond. On the one hand, it refers to the cooperative accepting responsibility for an ameliorating the negative consequences for society stemming from its action and operations. On the other hand, social responsibility to work towards the betterment of society and towards the amelioration of oppressive conditions in that society. Caring for others was and continues to be the prime mover in the establishment of successful cooperative the world over. This value refers to the obligations that each individual co-operator, each cooperative and the cooperative movement as a whole must act in such a way as not to cause harm or difficulty for others either of today, tomorrow or of the distant future. Additionally, this value imposes the obligation and requirement on every element of the cooperative movement to be pro-active in leadership towards rectifying the structural and social causes of oppression and in dignity. This value flows out of the ancient, but nonetheless relevant, dictum: Do unto others what you would have them do unto you. During these years series of orientation seminars about cooperative organization were conducted by then Department of Local Government and Community Development among interested employees of the Institute. Cash deposits by eager and enthusiastic employees were made through Mr. Roberto A. Dangkulos, who acted as Acting Treasurer. It made an initial bank deposit on March 7, 1978 at then Family Bank (now Bank of Philippines Island (BPI)) of Eighty six pesos and Twenty Centavos (P86.20). This was also the year when the Vice President Manaros B. Boransing acknowledged and recognized the endeavor of the employees by creating a committee on organizing a credit union chaired by Prof. Edna E. Aberilla. The MSU-IIT Employees Credit Cooperative, Inc. (MSU-IIT ECCI) was formally organized and had its First General Assembly on January 17, 1979. During this assembly its set of officers was organized led by Prof. Edna E. Aberilla as Chairperson. Policies were laid down, officers went on various trainings in Cebu, Dumaguete, Cagayan de Oro and attended in house trainings in the Institute with invited resource speakers. All these were made possible with the support and assistance of the institute officials led by Vice Pres. Boransing. The Bureau of Cooperative Development Office (BCOD), the government agency overseeing cooperative operations approved the organization of the MSU-IIT ECCI as a full-pledged credit cooperative. It had its first recognition when the Regional Cooperative Development Assistance Office (XII) adjudged MSU-IIT ECCI as the Most Outstanding Regional Cooperative. It expanded its operations by opening a consumer division which was formally opened in July 1983. In time for the 7th Annual General Assembly, it had its first amendment of the By-Laws and Articles of Incorporation and renaming it as MSU-IIT Employees Integrated Cooperative, Inc. (MSU-IIT EICI). The amendments were approved by then Regional Cooperative Assistance Office (RCDAO) through RC No. FF-005, dated March 21, 1985. Recorded its first million of total assets. Another service was expanded with the opening of Kindergarten School in coordination with the PFWC, catering to the early education of members’ dependents. After the passage of the twin laws, R.A. No. 6938 – Cooperative Code of the Philippines and R.A. No. 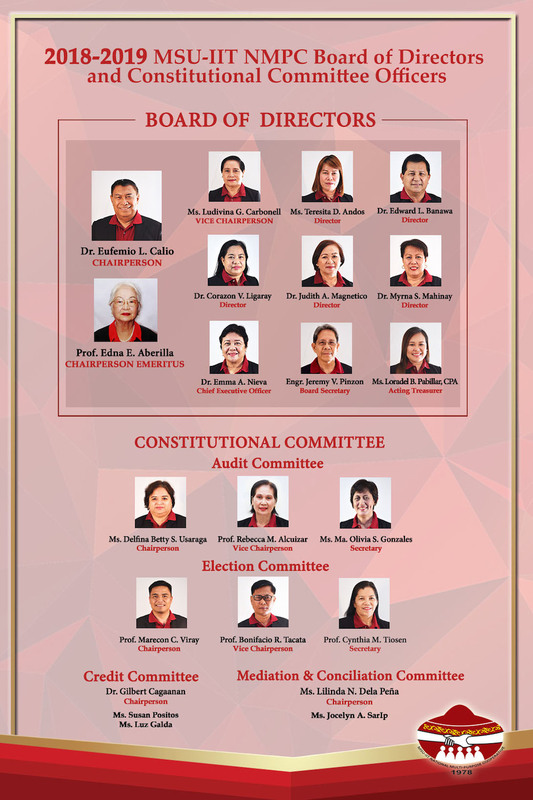 6939 – Creation of the Cooperative Development Authority (CDA), MSU-IIT EICI was highly honored when its first Chairperson, Prof. Edna E. Aberilla, was appointed by President Corazon C. Aquino as the first Chairperson of the Cooperative Development Authority (CDA). MSU-IIT EICI’s existence was confirmed by the Cooperative Development Authority through the issuance of registration (Cert. No. CR-025-CGY, dated March 22, 1991. This was also the year when it embarked on a dream project of putting its own building. A memorandum of Agreement was forged between the Mindanao State University and the MSU-IIT EICI, stipulating among others to allow the cooperative the use of 334sqm. Of land at the east gate of the Institute to be utilized for a building of the cooperative. The MOA was likewise confirmed by the MSU Board of Regents in its 144th meeting under BOR Res. No. 75, S. 1991. On August 10, 1991 no less than Senator Agapito ‘Butz’ Aquino led the corner stone laying of the new building. It was also in the year, that MSU-IIT EICI landed in the pages of the national dailies when it received two national awards as Most Outstanding Cooperative by the Cooperative Union of the Philippines (CUP) and as one of the cooperative finalists of the Sikap Gawa Award by the Bishop-Businessmen’s Conference. In time for the 14th Annual General Assembly another round of amendments in its Articles of Cooperation and By-laws was approved by the assembly. The amendments made were those provisions to conform with R.A. 6938, as well as an expansion of its membership by accepting dependents of members and MSU-IIT Employees Multi-Purpose Cooperative (MSU-IIT NMPC). In June 1993, the first floor the MSU-IIT Co-op building was occupied with no less than then Vice Mayor Atenedoro “Dodong” Ruiz leadin the ribbon cutting ceremony. MSU-IIT NMPC was fortunate to have links with the University Co-ops in Japan wherein their experiences were shared through seminar-workshop type educational undertakings here in Iligan. This started visits by officers to University Co-ops and Consumers Co-op in Japan. Japanese counterparts who shared their experiences with the MSU-IIT NMPC was led by MR. Toshifuni Kuriki, Manager of International Relations of the University Co-ops, Japan. The Grade School Program was formally launched, and likewise the general assembly gave its nod to expand the services of providing complete elementary education. Awarded as Regional Most Outstanding Cooperative in Region XII (Non-Agri Category), and adjudged as 1st Runner-Up in the National Search for Outstanding Cooperative. Through the assistance of MASS-SPECC, an automated package of the financial recording through micro-banker system was established. The MSU-IIT NMPC for the first time hired a full-time General Manager in the person of Engr. Deal Noel D. Benegrado. Identified as one of the 10 Co-ops in Mindanao for the Socio-Economic Development through Cooperatives in the Philippines (SEDCOP) Project of MASS-SPECC and NATCCO. The Project envisioned to set standards that are internationally acceptable. On its Mid-year GA, the general membership amended the by-laws to shift from closed-type to open type cooperative and accepting members outside of MSU-IIT and the Co-op was renamed MSU-IIT Multi-Purpose Cooperative (MSU-IIT NMPC). Attained as a century asset cooperative status at the close of December 30, 2002 and listed as the No.49 cooperative in the Philippines with century assets. Likewise, the Grade School program was further upgraded into Cooperative Academy by offering First Year High School classes. Celebrated its Silver Anniversary. It also opened its first branch at Pala-o, Quezon Avenue Extension, Iligan City on February 18, 2003 to cater to the downtown members. Hon. Franklin M. Quijano led the ribbon cutting ceremony. Again MSU-IIT NMPC was adjudged Regional Most Outstanding Cooperative – Non-Agri (this time in Region X), and nominee to the national Search for Most Outstanding Award by the Cooperative development Authority. MSU-IIT NMPC opened a new branch located at Kiwalan, Iligan City. A new branch was established at Buru-un,Iligan City. Also in this year, MSU-IIT NMPC opened Coop Life Assurance Center (CLAC) which caters life and non-life insurances. During this year MSU-IIT NMPC opened three satellite offices which were strategically located at Tubod and Poblacion , Iligan City and at Manticao, Misamis Oriental. Seeing the growth and need of the people for the cooperative, MSU-IIT NMPC opened another new satellite office located at Suarez, Iligan City and another branch at Maranding, Lanao del Norte. Also this year, Tibanga Main has opened their new Savings and Credit office. MSU-IIT NMPC'S reputation is known even outside areas of Iligan City. 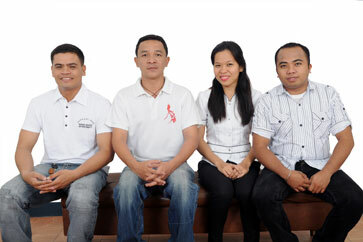 Bulua branch was established this year to cater members and community of Cagayan de Oro City. The coop also celebrated its Pearl Anniversary. A warm welcome was given to our cooperative as we enter CDO Community. MSU-IIT NMPC built its new expansion at Cagayan de Oro which was located at Cogon. Also Tubod and Poblacion Satellite Offices were upgraded to a full-branch status. Manticao Satellite Office was upgraded to a full branch status. MSU-IIT NMPC launched its health care program called COOP CARE. 2nd floor MSU-IIT MPC Bldg.